Sermon on John 1:1-18 offered to the people of the Church of the Redeemer in Bryn Mawr, PA. Audio for this sermon may be found here. To hear an abridged version of Truman Capote’s story read by the author, click here. 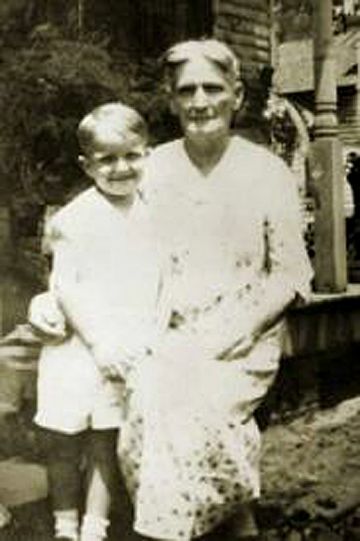 In 1956, Truman Capote published a short story about his childhood called A Christmas Memory. It is a wonderfully evocative tale of how young Truman and his aging cousin, Miss Sook, celebrated Christmas in Depression-era rural Alabama. The story centers around the pair’s Christmas preparations, the most important of which is the baking of thirty fruitcakes for “friends” across the country. Capote describes how he and his cousin collect windfall pecans, purchase candied pineapple at the general store, and procure illegal whiskey from the unsmiling and terrifying Mr. Haha. He also points out that the fruit of their considerable labor does not necessarily benefit their neighbors or relatives. “Indeed,” he observes, “the larger share is intended for persons we’ve met maybe once, perhaps not at all. People who’ve struck our fancy. Like President Roosevelt. Like the Reverend and Mrs. J. C. Lucey, Baptist missionaries to Borneo who lectured here last winter…Or the young Wistons, a California couple whose car one afternoon broke down outside the house and who spent a pleasant hour chatting with us on the porch.” At one point in the story, Miss Sook wonders if Mrs. Roosevelt will serve their cake at Christmas dinner. Of course, we all know that there is no way that that could happen, that the vast majority of recipients probably didn’t know what to do with this fruitcake from these people they barely remember, and I suspect that Capote and Miss Sook understood this at some level. Every year, however, Truman and his cousin would pool their meager savings, invest an incredible amount of time and effort, and send more than thirty fruitcakes around the country to people who might not even want them. From a common sense perspective, this whole enterprise seems inefficient and pointless. If Capote and his cousin were to do a cost benefit analysis, it would be very clear that that this particular Christmas ritual is a waste of time. And yet, they embrace this task with such joy, with such enthusiasm, with such delight that everyone can see why the process of making and sending fruitcake continues to be part of their Christmas experience. This morning, we heard the extraordinary prologue to John’s gospel. This passage is foundational to the Christian faith, which is part of the reason that it is always read on the first Sunday after Christmas. This text describes the fullness of God’s creative power and then proceeds to illustrate the astonishing surprise of the Incarnation. This passage invites us to meditate on one of the central Christian mysteries: that God became one of us, that the author of all creation became part of that creation, that the Word became flesh and lived among us. But even as John describes the incredible power of the Creator becoming part of creation, he acknowledges that not everyone recognized the Word made flesh, that not everyone embraced the reality of God with us. John tells us that the Word, Jesus Christ, came to what was his own, but that his own people did not accept him. It’s a peculiar reference, particularly in John’s gospel. John’s personality is somewhat unique among the evangelists. While Matthew, Mark, and Luke are perfectly content to depict the humanity of Jesus (all three have Jesus doubting, getting annoyed, and even getting hungry occasionally) John’s portrayal of Jesus is otherworldly and divine. In John’s gospel, Jesus knows exactly what is going to happen to him; Jesus is initiates his own mission and he is in control of his own life and death. So it is surprising, then, that in the sweeping introduction to his gospel, John would mention that people rejected Jesus. The fact that people rejected the Word leads us to wonder about the purpose of the Incarnation. The triumphal tone of John’s gospel seems to suggest the point of the Incarnation was to make Christians, to bring as many people into relationship with God through Jesus Christ as possible. Why else would John make the distinction between those who do not receive Jesus and those who “believe in his name”? Surely, the way to understand this distinction is that those who “believe in his name” are those who are part of the Church, whereas those who reject the Word are those outside the body of the faithful. In this view, those who recognize the presence of God in Jesus Christ are “Incarnation success stories.” But this leaves us wondering how it is possible for anyone to ignore the very presence of the living God among them. If the Incarnation is all about persuading people to adopt a particular religious perspective, then the fact that some people rejected Jesus is problematic. In fact, it means that the Incarnation was a failure, that God’s participation in history was for naught, that the Word becoming flesh was a waste of time. Many take great solace in the fact that Jesus knew how to throw a party. This limited understanding of the Incarnation is only accurate from a human perspective. John, however, makes it very clear that the Incarnation is about much more than getting people’s names on the rolls. At the end of the prologue, John articulates the true fruit of the Incarnation: “from his fullness we have all received, grace upon grace.” The Incarnation is not a means of classification, it is the outpouring of God’s own self, the sharing of an unfathomable grace. John affirms that God’s fullness is poured out abundantly, without regard for who receives it or what impact it may have or whether it will be rejected. The Incarnation is not strategically targeted where it will be most effective; it is an extravagant, inefficient outpouring of everything that God is. 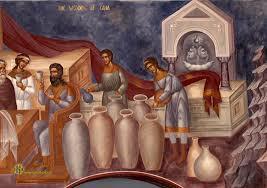 We see this illustrated in the miracle at Cana in the very next chapter of John’s gospel. Jesus is told that the party has just run out of wine, and his response is not to make a per capita estimate based on consumption trends, but to produce more wine than anybody could possibly drink. Like Miss Sook’s fruitcakes, the Incarnation is not about precise calculation; it is about the expression of joy and delight. The Incarnation cannot be a failure because its only objective is to bring the fullness of God’s abundant grace into creation. We live in a time when the message we proclaim during this Christmas season is not always well received. If people are not hostile to our proclamation of “good news,” they are often indifferent. For many people, the central figure of the Christmas season is not Jesus, but Santa Claus. Our tendency is to respond to this situation either diagnostically or defensively. Either we attempt to calculate exactly who we need to attract and how we can market the gospel to them or we angrily respond with “Merry Christmas” when people wish us a happy holiday. Today, however, we are reminded that we are not called to diagnose or defend, but to live our lives with joy, to experience life aware of the abundant grace that God has extravagantly poured upon creation. We are called to be beacons of this grace, and we are called to embrace this Christian vocation with such joy, with such enthusiasm, and with such delight that everyone can see how we have been shaped by the fullness of God’s grace. Sermon on Luke 2:1-20 offered to the people of the Church of the Redeemer in Bryn Mawr, PA on Christmas Eve, 2014. Audio for this sermon may be found here. In spite of its omnipresence, there is something very curious about the way we remember the Dickens classic. Though it ends with Scrooge amending his ways by making a generous donation to charity, reconciling with his nephew, and giving Bob Cratchit a raise, we remember Scrooge as the “squeezing, wrenching, grasping, scraping, clutching, covetous old sinner” that Dickens introduces at the beginning of the story. We ignore Scrooge’s Christmas Eve conversion and focus instead on his previous identity as a misanthropic miser. 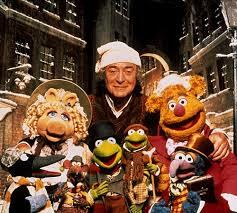 Why else would “Scrooge” be the near-universal epithet for anyone who does not enjoy the Christmas season? Our failure to remember Scrooge’s conversion is a symptom of a larger reality: as human beings, we have a hard time believing that anyone can change. If we encountered Ebenezer Scrooge after his transformation, I suspect that most of us would cynically wonder what his angle was. We tend to live our lives according to maxims like “you can’t teach an old dog new tricks” or “a leopard doesn’t change its spots” or “there’s nothing new under the sun.” This inherent suspicion is a form of self-preservation; if we refuse to trust that anyone or anything can change, then we can never be hurt. If we refuse to acknowledge that new things are possible, then we can continue to live our lives in the same way we always have. Tonight, however, we hear an angelic announcement that something new has happened, that our world has changed, that life will no longer be the same. It’s easy to be preoccupied by the familiarity of Luke’s account of the birth of Jesus, to be distracted by the images of swaddling clothes and heavenly hosts, and to listen nostalgically for the dulcet tones of Linus Van Pelt of the Charlie Brown Christmas instead of the “good news” at the heart of this story. When the angel of the Lord says, “behold, I bring you good news of a great joy,” one might think that he is merely providing information, that this is the first century equivalent of “breaking news.” But the word that we translate as “good news” refers to much more than new information; it is the same word that was used to announce the birth of a new emperor. Luke implies that Christ’s birth represents a fundamental change in the political reality of the world. Though Luke describes the birth of Jesus with a word typically associated with social upheaval, the political situation in the world doesn’t seem to have changed all that much. After all, Luke reminds us that Augustus is the emperor of Rome and that Quirinius is the governor of Syria. There’s no indication that either leader is on his way out or that the time is ripe for the arrival of a new king. 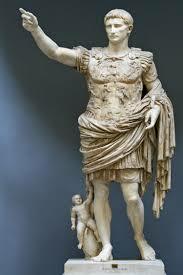 In fact, Augustus reigned for more than twenty years prior to the birth of Jesus and would rule for twenty years more. If anything, Luke implies that Jesus is born during a time of great political stability. It was a time a time when Rome’s power was largely unchallenged at home and completely unrivaled abroad. It was a time when the Emperor was so feared that he could arbitrarily order people to the towns of their birth in order to conduct a mostly meaningless census. It was a time when the Jewish people were aware and reminded frequently that their tenuous right to worship one God could be revoked without any warning. All of this makes one wonder how the birth of Jesus could possibly be “good news.” A tiny child born in a backwater province couldn’t possibly challenge the most powerful empire the world had ever known. By worldly standards, the birth of Jesus would change nothing: tyrants would persist in forcing their will on the weak and the world would continue as it always had. But this assumes that Jesus was a typical king. Luke goes out of his way to illustrate that Jesus was not a typical king. While most worldly rulers are heralded by military parades and housed in magnificent palaces, the king we welcome tonight was heralded by a humble donkey and housed in a stable. While most worldly rulers spend their time among the elite in the centers of commerce and culture, the king we welcome tonight was first announced to downtrodden shepherds on a Judean hillside. While most worldly rulers demonstrate their power through cruelty and violence, the king we welcome tonight reveals his power in compassion and love. And while most worldly rulers would do anything to stay in power and preserve their lives, the king we welcome tonight gave himself up for us on a Roman cross. Tonight, we affirm the deep logic of the Christian faith: in the Incarnation, God became one of us and empowered us to live lives of freedom and grace even in the midst of a world dominated by oppression and fear. Jesus Christ invites us to let go of our belief that everything always stays the same and enter into a new way of being. Christmas is often a time for nostalgia. We bring ancient decorations out of storage, sing songs that we have sung year after year, and return to traditions that have been part of our lives for as long as we can remember. It is a time that we remember Scrooge before his transformation, when we dream of Christmases “just like the ones we used to know.” Christmas, however, is about more than mere remembrance; it is about recognizing the way in which the good news of the Incarnation is, in fact, news. This has been a year of incredible turmoil. From the rumblings of war in Europe to the specter of terrorism in the Middle East to the proliferation of violence on the streets of this country, this year has been a potent reminder that our world is often dominated by oppression and fear. We might be tempted to despair, to assume that bad news like this is simply the way of the world. Tonight, however, we are called to remember the “good news” of Christ’s birth and embrace the new way of being that God has inaugurated in the arrival of this holy child. On Christmas, we are called to focus not on the way things have always been, but on the way things can be when we live our lives shaped by the Incarnation. Christmas calls us to hear and be transformed by the good news that God entered this broken world and is making all things new. Sermon on Mark 1:1-8 offered to the people of the Church of the Redeemer in Bryn Mawr, Pennsylvania. Audio for this sermon may be found here. 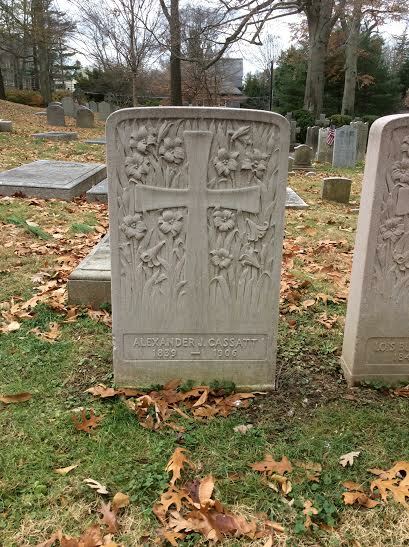 In the Redeemer churchyard, there is a pretty, though otherwise unremarkable headstone marking the grave of Alexander Cassatt. Before his death in 1906, Cassatt served as the president of the Pennsylvania Railroad during some of the headiest and most productive years in its history. His brief tenure saw the Pennsylvania expand its reach in every direction and cement its status as one of the most powerful corporations in the United States. These accomplishments, however, seem trivial when compared to his plan for the railroad to cross the Hudson River into a magnificent new terminal in New York City. Prior to the construction of Penn Station and its subaqueous tunnels, the trip from New Jersey to Manhattan was frustratingly unreliable, involving ferries that would frequently be stymied by the roiling and uncertain tidal waters of the Hudson. Though railroad executives had dreamed about traversing the Hudson with tunnels or a bridge since the 1870s, many considered it impossible, due to the instability of the silt that comprised the riverbed. In spite of the skeptics, Cassatt made crossing the Hudson his number one priority from the moment he took office in 1899. Part of the reason for Cassatt’s dogged optimism was that he was an engineer. Engineers tend to look at the world differently than you and me. What we might consider an insurmountable obstacle is a mere challenge to overcome for an engineer. Thus, while most 19th century commuters were convinced that the only way to cross the Hudson was by unreliable ferry, Alexander Cassatt and the engineers of the Pennsylvania Railroad were confident that they could make the trip easier. While most of us tend to assume that impediments are permanent, engineers look for ways to transcend those barriers. While most of us are perfectly content with the way things have always been, engineers wonder if the future can be different. Today we heard the very first verses of the gospel according to Mark, wherein the evangelist describes the ministry of John the Baptist. Mark’s gospel is unique among its counterparts in the sense that it contains minimal introduction. While the other gospels begin with backstories, genealogies, and theological treatises, Mark begins with a single sentence fragment: “The beginning of the good news of Jesus Christ, the Son of God.” From the very outset of Mark’s gospel, in other words, we are told that we are about to experience something completely new. After this terse preamble, we are abruptly dropped by the banks of the Jordan and introduced to John the Baptist, a striking figure who lives off the land, wears rough clothing, and proclaims repentance in the wilderness. Moreover, Mark tells us that John is the one Isaiah prophesied would prepare the way of the Lord and make his paths straight. In this gospel account, John’s ministry is the startling inauguration of something entirely new. In the years since John the Baptist was wading in the Jordan, we have tended to downplay his revolutionary nature. We have focused his quirks (his diet of bugs, his interesting wardrobe selection) rather than the radical quality of his proclamation. We have domesticated John, treating him as we might treat an eccentric uncle rather than a prophet of God’s new way of being. In part, this is because we have failed to understand how transforming John’s message truly is. On the surface, John’s “baptism of repentance” seems like simplicity itself: all God wants is for us to be sorry for our sins and change the way we behave. Even Luke, writing only a few years after John’s ministry, implied that John’s message essentially boiled down to common sense: if you have an extra coat, give it away; if you’re a tax collector, collect no more than the amount prescribed for you; if you’re a soldier, don’t extort money from anyone, etc. As early as the first century, in other words, the Church was already running away from John’s proclamation. In some ways, it’s no surprise that we have domesticated John’s message. If repentance is simply about being sorry for our sins and trying our best to behave in the future, then it means that our lives don’t have to change all that much. We can add repentance to our list of occasional tasks, like cleaning the gutters or purging our inbox; it simply becomes part of our routine. John’s understanding of repentance, however, is anything but routine. In fact, it abolishes the very idea of routine altogether. The prophecy from Isaiah that Mark associates with John’s ministry illustrates the radical nature of repentance and the utter newness of John’s proclamation. Isaiah was writing to a group of people in exile, a group of people who had been removed from their homeland to a strange place across a forbidding desert, a group of people who believed they had been alienated from their God. These people had essentially given up the possibility of ever returning to the place where their ancestors worshipped. And yet, Isaiah promises to this hopeless generation that they will be comforted, that their exile will end, that they will traverse the wilderness and return home. To illustrate how radical this transformation will be, Isaiah announces that Israel’s return from exile will take place on a highway through the desert, that God will empower his people to traverse even the impenetrable wilderness. 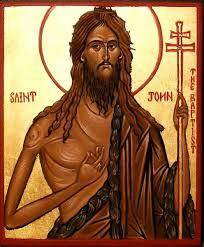 This is John the Baptist’s heritage. His proclamation of repentance is not about mere contrition, it is about liberation from exile. For John the Baptist, repentance is not about saying “I’m sorry,” it is about acknowledging that all things are possible with God. In this sense, John the Baptist would have made a good engineer, not because he proposed building tunnels under the Jordan River, but because he refused to concede that the past has power to shape our future. Repentance is about turning away from the status quo and recognizing that transformation is possible. Repentance is about realizing that our lives are not determined by who we are or what we have done and affirming that through Jesus Christ, we can live new lives of grace. For all of the lip service we pay to the concept of free will, the fact is that most of us behave as inveterate determinists. We are convinced that the course of our life is governed by our family of origin or our ethnic background or the mistakes we have made. We refuse to consider the possibility that we or anyone else can change. But the Christian witness is that the status quo can be transformed, that the most pernicious injustice can be redeemed, and that even the power of death can be defeated. John’s proclamation of repentance urges us to live our lives in light of this witness. Repentance urges us to affirm that God’s justice will ultimately prevail in Ferguson, Missouri. Repentance urges us to refuse to make judgments about people based on who they are or what they look like, no matter what “side” they represent. Repentance urges us to abandon our confidence in the status quo and trust that God is making this world new through the death and resurrection of Jesus Christ. As Christians, we are called to follow God’s highway in the wilderness, to look at insurmountable obstacles as challenges to overcome, and to trust in the transforming power of God’s grace.